92101 Downtown San Diego is the place to be. Considered to be a cultural & financial, it's full of historical landmarks, local businesses and friendly population. 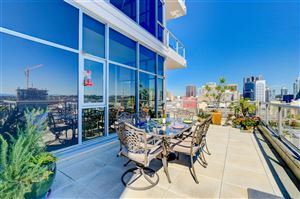 Living in one of the stunning Downtown San Diego CA condos or homes for sale would be quick & easy with our help. We also assist people who want to sell property and short or long-term Rentals of Downtown San Diego apartments. See these NEW Listings of 92101 Downtown San Diego Properties. The Latest Blogs about Downtown San Diego events, news and more! Check out the 92101 Real Estate Market Trends.